TongaFootball > News > Refereeing > Gear Up Futsal Referees! There were 22 futsal referees showed up here at Loto-Tonga Soccer Centre getting ready for a two days refresher course as the Futsal season will be kick off before the week-end! 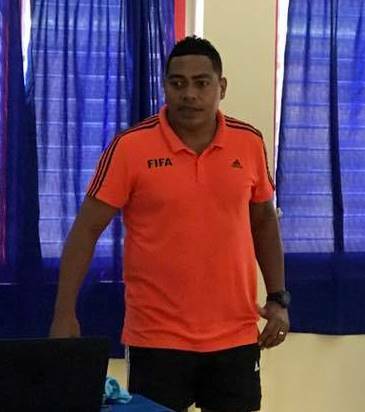 This futsal referees refresher course has been leading by Kalisitiane Koaneti, the Futsal Instructor of the Tonga Football, but a full time teaching at the Tonga College. This refresher course has been outlined for old and new futsal referees that will be officiating Tonga Football – Futsal tournament. ‘’I am willing to help as much as I could in this refresher course as I realized some of the participants are new to the process and it’s a challenge’’, says Koaneti. ‘’These Referees need tremendous game time in order for the Laws of the Game to become more practical. Also it need consistent practical sessions will sure do help’’, he added. 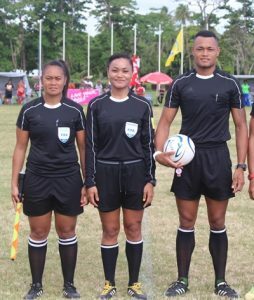 Koaneti also praised the awesome preparation by the Tonga Football’s Refereeing department. 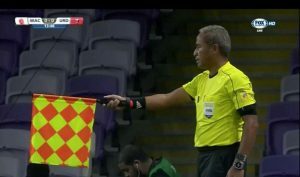 The Head of the Refereeing department, Tevita Vea also partnership with Koaneti in conducting this refresher course to assist so as few others Referees Instructors. ‘’The development of the Tonga Match Officials is part of the ongoing strategies and a fundamental role of the Tonga FA Refereeing Department in all aspects and all Refereeing categories such Futsal Referees, Beach Soccer Referees, Football Referees as well as the Referee Instructors to make sure that the match officials meet the standards and requirements in the modern games, says Vea! ‘’I fully understand that there is a need to develop the Tonga FA Match Officials to the need of games in the reason years. The games are faster and the players are more skilful therefore Tonga Match Officials are developing our Match Officials towards the need of the different types of the game such as Futsal, Beach Soccer or Football, Vea added! 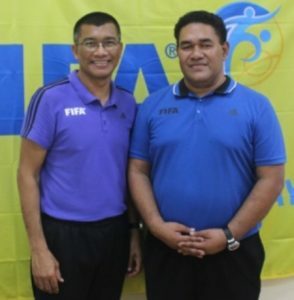 ‘’Even though Tonga FA just introduced this new kind of Futsal competition in the last two years therefore preparation and development of the Match Officials is our mission to accomplish what is required, Vea stressed out! This two days refresher course will complete tomorrow and the Futsal tournament is scheduled to kick off on Thursday of this week. Futsal has been invited for Men’s and Women’s Open grade also U 17 for boys and girls. Previous Post Call forTevita Makasini, FIFA Assistant Referee for the FIFA U 20 World Cup! Next PostTo weave a healthy lifestyle on and off the field! To lift the standard of Referee in Oceania!